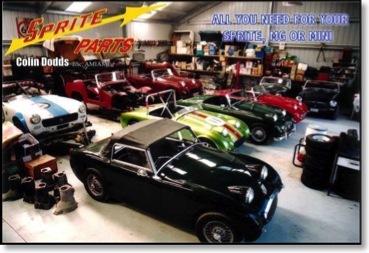 •	Sprite Parts gives personal first-hand assistance and advice. •	Contact me by phone or at any time for assistance with parts, prices, or technical information. You will receive a prompt reply. ✰ No discounts - everyone gets the same low trade price. ✰ No fancy facilities - just a compact workshop where you and your car are sure to get personal attention. ✰ Open from 7am to 7pm, 7 days per week. Click HERE for a map to find us!